Thank-you all for being a part of LINNYLAND'S WILD & WONDERFUL 2015!! Wishes of wild & wonderful sunshiny joy from Linny D. Vine to all! 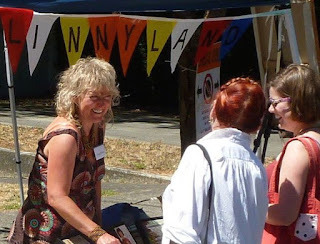 LINNYLAND'S WILD AND WONDERFUL 2015!! surprised her with her much coveted "Crop Tour" painting! for the holidays and throughout the new year. AND return of the light! 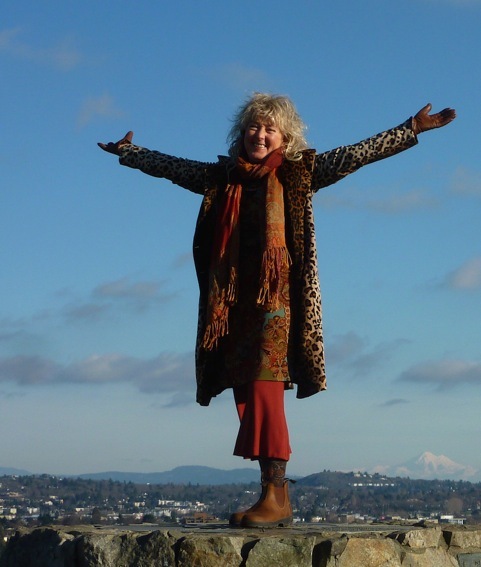 December and....snowy mountain adventures AND safe travels to all! December and...snowy adventures in Linnyland! 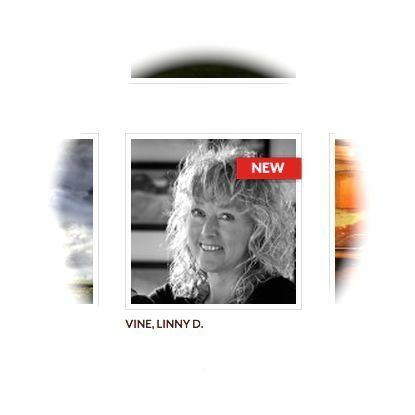 Van Dop Gallery now represents Linny D. Vine! 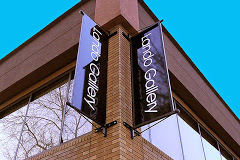 thank-you for the warm welcome, Van Dop Gallery! 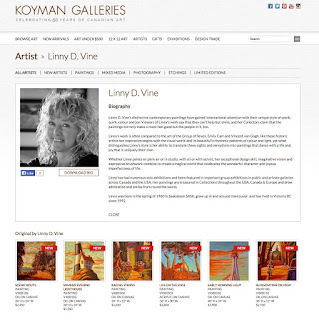 YES, there's a NEW Face in Ottawa this week - DELIGHTED to share that Canada's largest gallery of art, Koyman Galleries of Ottawa Ontario, now represents Linny D. Vine & Linnyland! 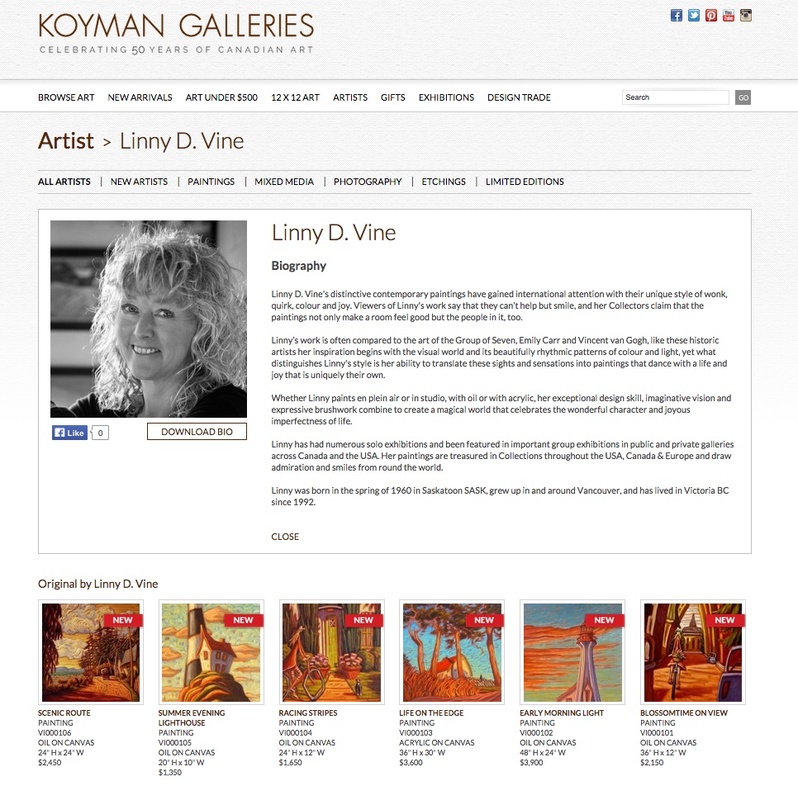 ...now represents Linny D. Vine & Linnyland! HaPpY Thanksgiving from Linnyland...and so much to be grateful for! The Road to Linnyland. Philip Willey - Sept.2015. 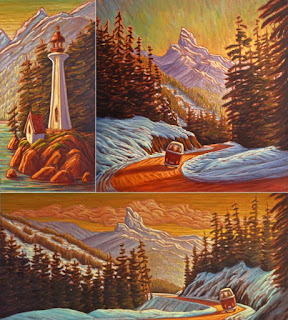 "A certain aesthetic seems to prevail in BC landscape painting that probably can be traced back to the Group of Seven. 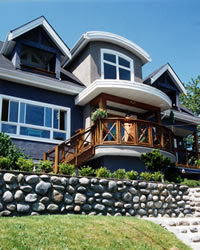 The Group succeeded in creating a Canadian landscape form that has evolved into a uniquely West Coast style that pulsates with life, rhythm and the spirit of place. 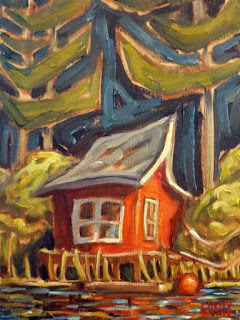 Emily Carr set the pace of course with her powerful and evocative depictions of West Coast iconography as did Jack Shadbolt who explored the subject from a semi-abstract angle. They were followed by painters like E.J.Hughes, who studied under FrederickVarley, and Robert Genn who passed away recently. 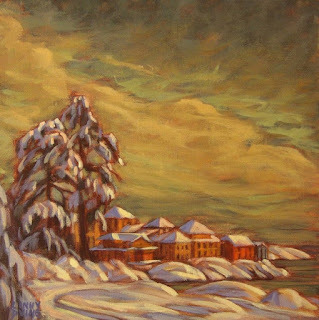 Genn’s paintings continued the Canadian landscape tradition with a strong sense of design and form reminiscent of the Group who were themselves heavily influenced by French Impressionism. The West Coast style of painting lives on. 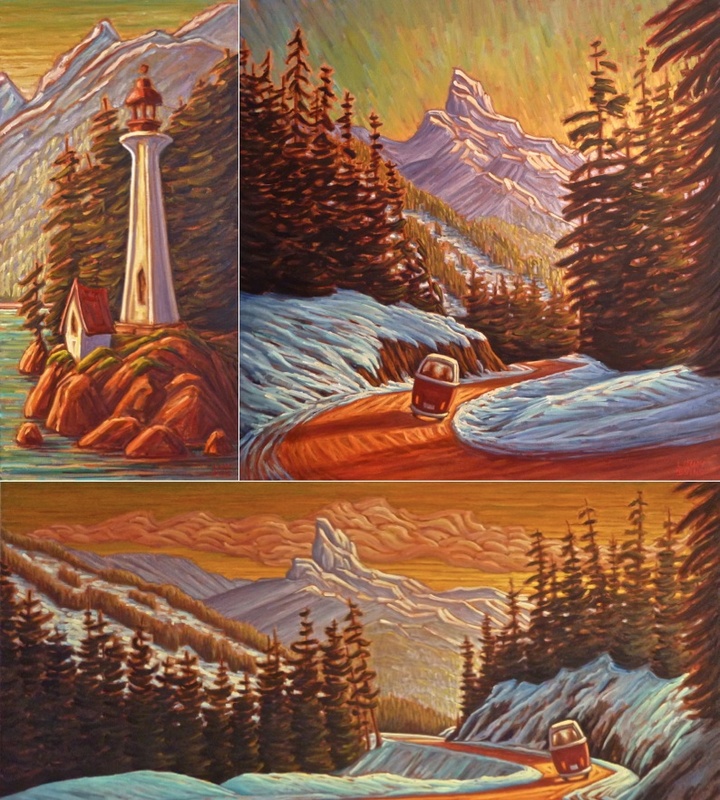 It can be found in the work of artists like Glenn Clark, Drew Burnham, Ken Gillespie, Greta Guzek and others who all share a similar approach to line, form and colour whilst following their own visions of B.C.s majestic scenery. 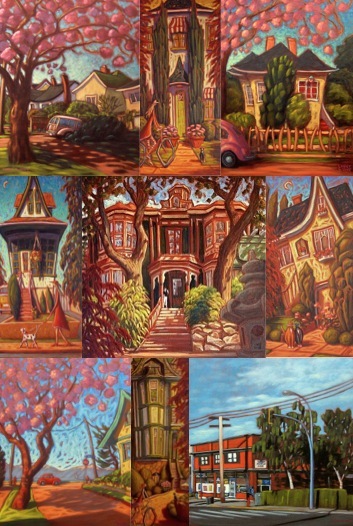 Some are mainly interested in capturing the essence of place, some are cerebral and some are exuberant. All show love and respect for the grandeur of nature. Which brings us to the reason for writing this piece, Linny D. Vine, who has brought the genre up to date by adding a personal touch. She was born in Saskatoon in 1960, grew up in Vancouver and she has lived in Victoria since 1992. In actual fact she lives in Linnyland. 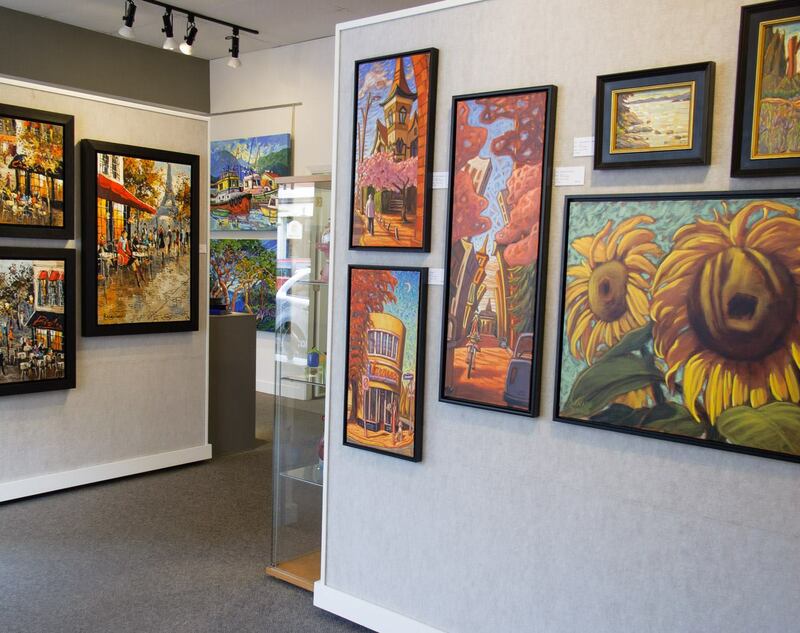 It’s a happy place where trees and buildings bend to suit the mood of the paintings, where water and sky are full of rich impasto movement. 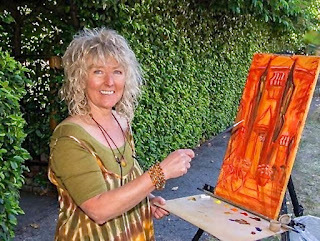 She draws on local landmarks for inspiration. 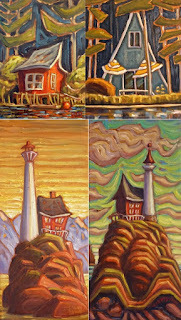 Her urbanscapes include places like City Hall, the Belfry Theater and Swan’s Pub rendered to appear idyllic. Cherry blossoms for instance, a welcome sign of spring in Victoria, are cotton candy like but never garish. They are always integrated into the background so that the colours are slightly exaggerated but always harmonious. 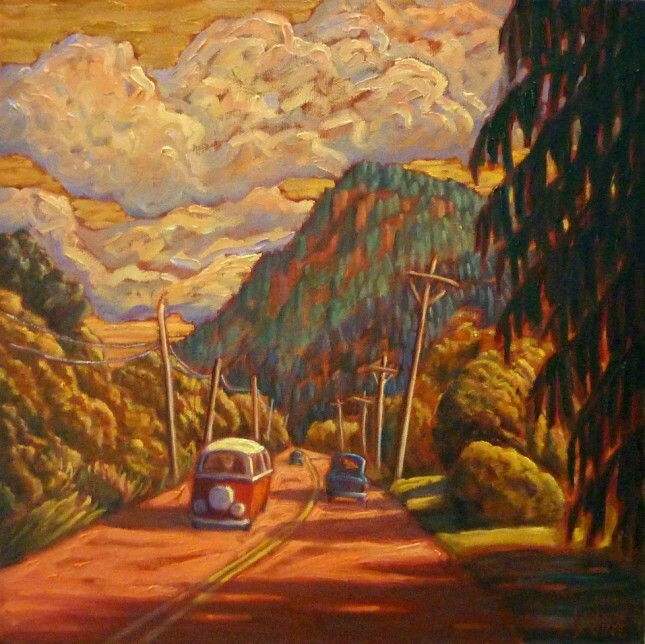 Her landscapes often feature a Volkswagen van, a sixties symbol of freedom and life on the open road…..minus any hint of traffic congestion or clear cutting. Linny D.Vine’s work incorporates both Emily Carr’s emotion and the more formal approach of Robert Genn. At the same time she is revitalizing the landscape scene with a lighthearted quirkiness. 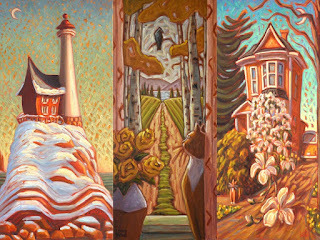 Her paintings are friendly and very approachable expressions of sheer joy. HaPpY HaPpY Autumn from Linnyland!! Let's all go for a Crop Tour in Linnyland! were quickly "stained" the same Blackberry juice colors as my fingers. 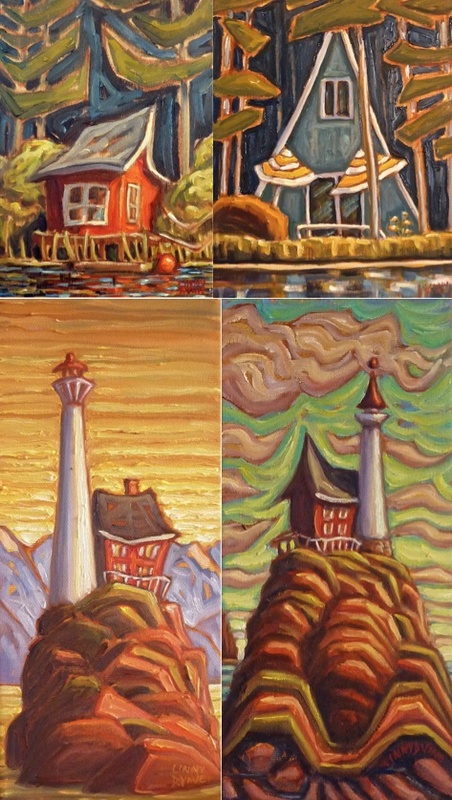 Art Gallery of Greater Victoria TD Art Gallery Paint-In 2015. This is the 10th Moss Street Linnyland painting! and last night's orange Blue Moon! 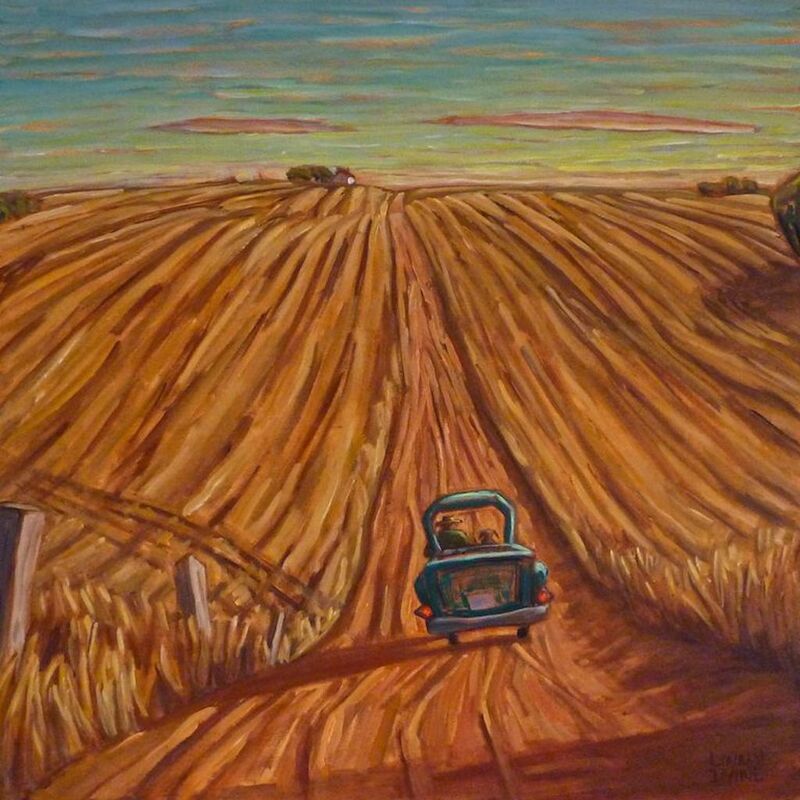 "Sunny summer days are celebrated at West End Gallery with a Summer Salon featuring leading Canadian painters in an outstanding group exhibiton. 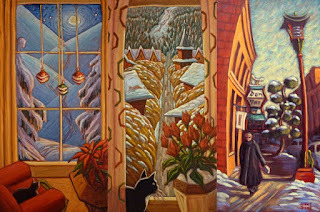 Showcasing the diversity and talent of Canadian artists and their work, landscapes, still lifes, abstracts, impressionists, urban and figurative styles are all represented in this varied collection from an artist line-up that includes Steven Armstrong, Claudette Castonguay, Rod Charlesworth, Richard Cole, Ken Faulks, Greta Guzek, Patricia Johnston, Paul Jorgenson, Elka Nowicka, Guy Roy, Claude A. Simard and Linny D. Vine. 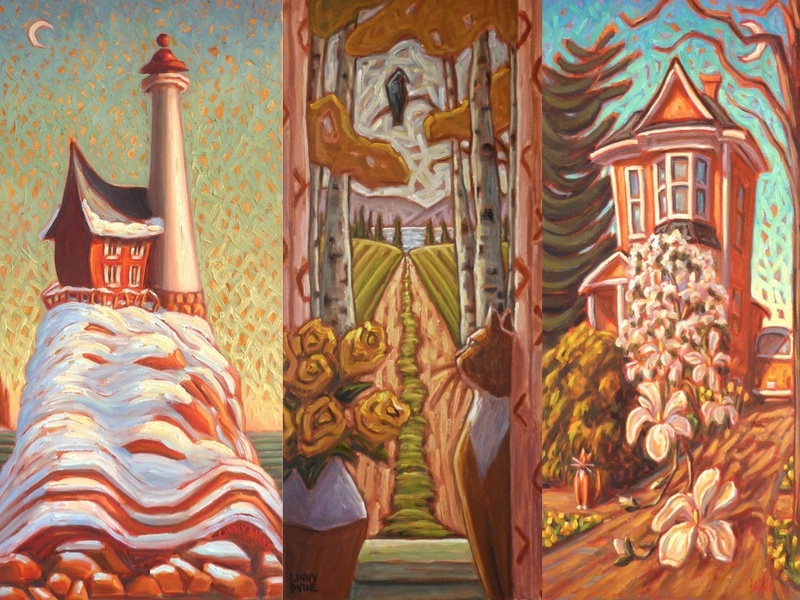 Accompanying these exquisite painters will be works from an array of glass artists from across Canada including Vancouver Islands' Robert Held, Gabriola Island's Tammy Hudgeon, Darren Petersen, Paull Rodgrique and David Thai." ~At West End Gallery with Linny D. Vine's wall of Summertime in Linnyland! 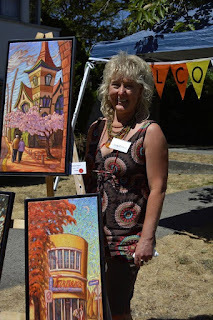 Thank-you for the Art Gallery of Greater Victoria TD Art Gallery Paint-In 2015 photos! 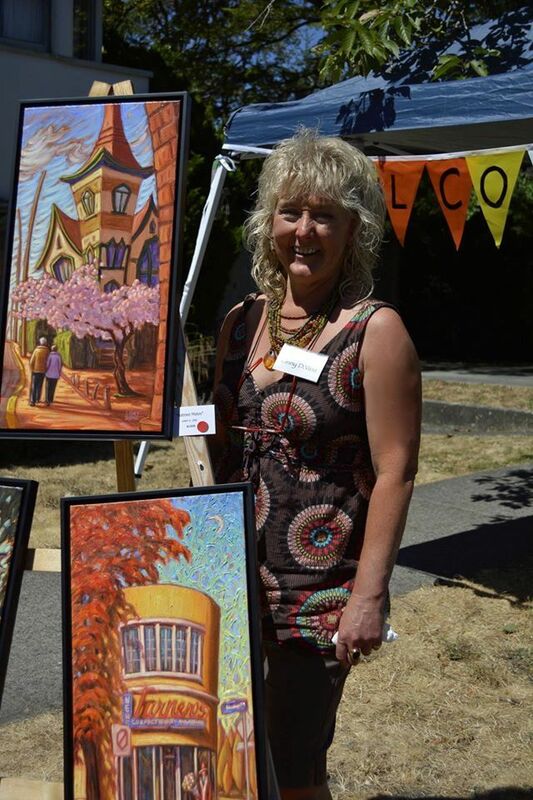 a great big THANK-YOU to everyone for photos of Linny in Linnyland at the Art Gallery of Greater Victoria 28th Annual TD Art Gallery Paint-In 2015!! 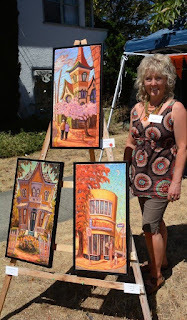 The 28th Annual Art Gallery of Greater Victoria TD Art Gallery Paint-In -- or this year, "The Moss Street Melt-In 2015!" 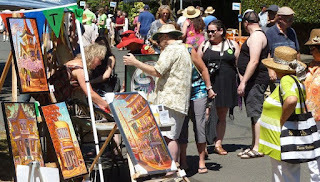 -or this year, "The Moss Street Melt-In!" was record HOT!! We all melted AND we all had FUN!! and all of the great supporters and sponsors, too!! (sometimes know as the Moss Street Paint-In)!! location that's somewhere along Moss Street. and same side of the street. See you there between 10:00 - 4:00!! (not in any particular order). "Emily Carr House", with Emily and Woo, too! 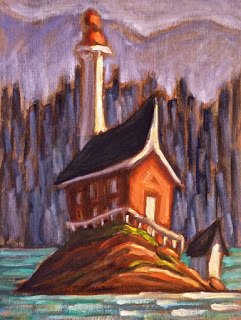 Canadian painter & author, Emily Carr. 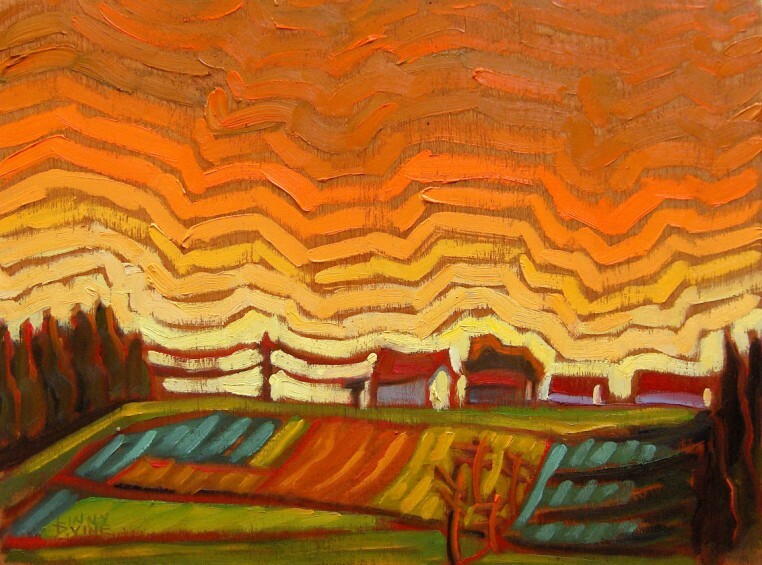 Emily's home had a lasting impression on her paintings and writings. 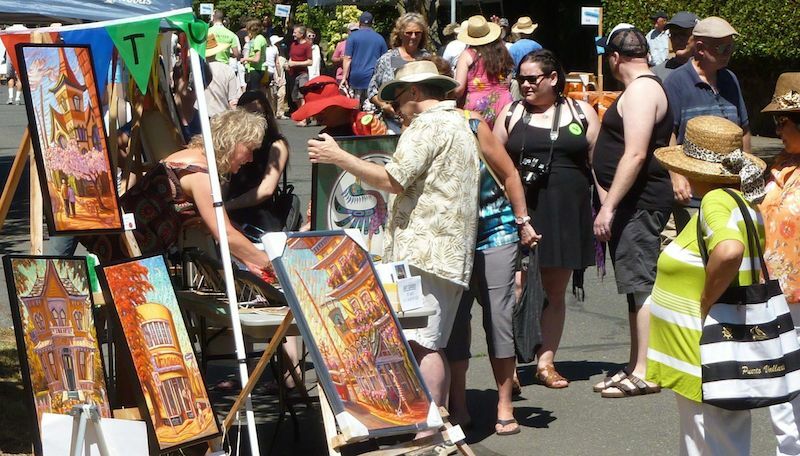 Only one more week until Victoria's Favourite Annual Art Event!!! & on the same side of the street as the gallery! 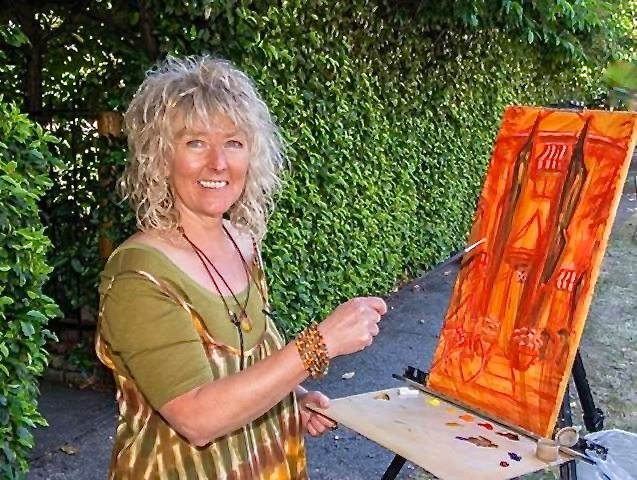 "ART EVENT OF THE YEAR"! HaPpY CANADA DAY from Linnyland!